We've got a whole bunch of impressive results this weekend out of both Washington State and Washington, DC. 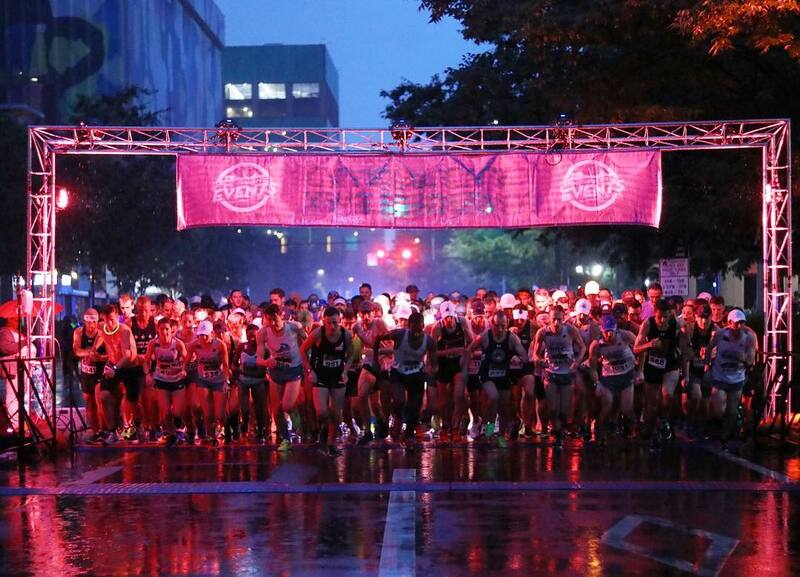 Reports indicate the men's course was at least 300m long. 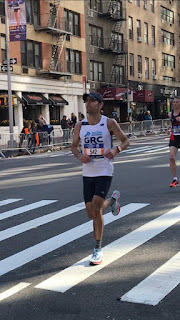 As many know, this blog has chronicled the Turkey Trot exploits of GRCers since the first recorded Thanksgiving Day race in 1896. In keeping with tradition, our men and women logged impressive performances both near and far from Washington, DC. Maura L snuck under 28, and Nick Posada logged his most impressive finish thus far in a GRC singlet with a sub-25 performance. Hallie ran a strong 18:25 for 2nd place in what looks to be a potential PR over 5k. Our fact-checkers are furiously working behind the scenes to verify this claim. Cabell just barely lost out in a sit-and-kick battle with a college-aged speedster. 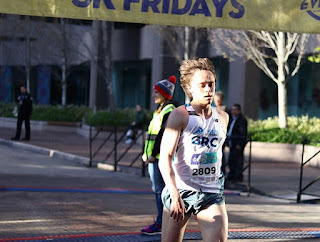 His time of 33:17 was good for 2nd place. Max ran 15:44 for 8th overall, narrowly outkicking his fluffy dog as depicted in the photo to the right. 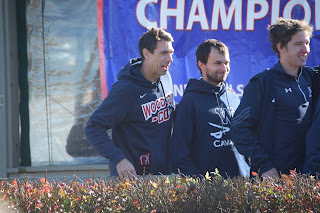 Sean B and ex-pat Sam Luff finished 2nd and 3rd, respectively, with times of 16:28 and 16:40. Reports indicate that the second mile is dramatically uphill. Kyle W ran a solid 15:09 for 4th place in arctic conditions, proving true the old maxim that you can take the boy out of Minnesota, but you can't take Minnesota out of the boy. Panhandle Crew standout Lucas S came close to besting his time from last year with a 23:57 clocking for 1st place. 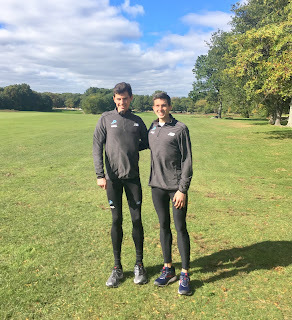 While it's a bummer that this year's course was accidentally long, I'm sure Lucas is happy that he can now claim two course records from one race. 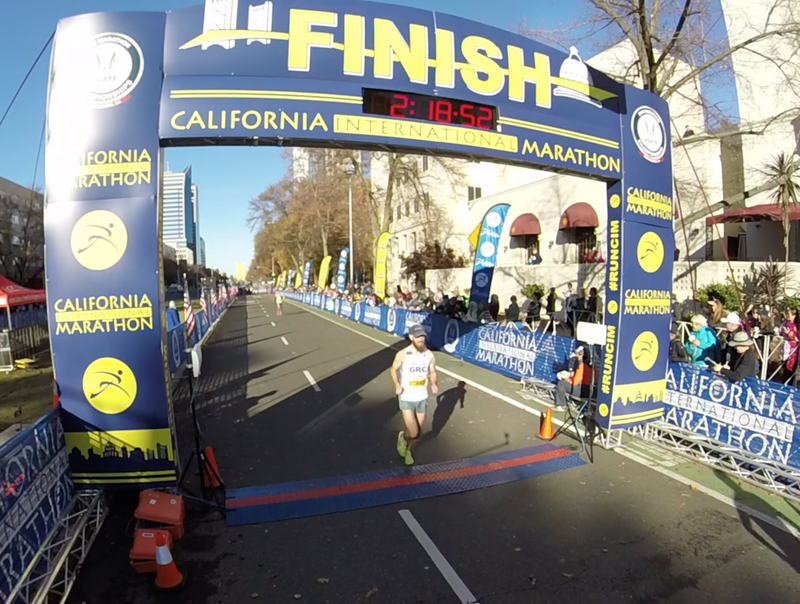 Ryan, the other half of the Panhandle Crew, ran 16:08 for 2nd (?) place. This race probably has a name but Ryan has chosen not to share it. Margaret ran a strong PR of 18:19 and finished as the first female in this small New Jersey race. Up in Long Island, Sarah finished 2nd overall in 17:45. Rob braved arctic Maine conditions for 4th overall in 20:52. Local Maine residents reportedly made fun of him on the cooldown for only tolerating cold weather as well as a normal person. 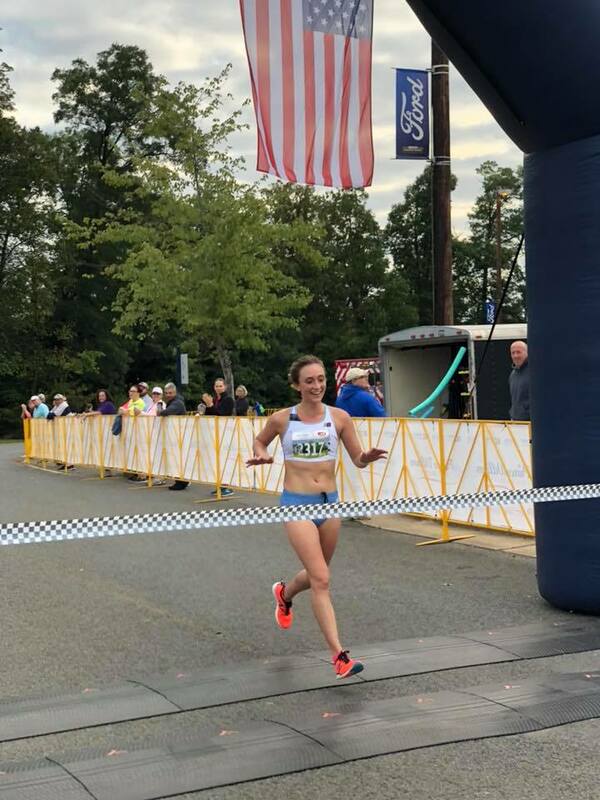 Bucking the trend of Thanksgiving races held on Thanksgiving Day, Emily K ran 17:55 for 5k in Bedford Springs, PA on Saturday. 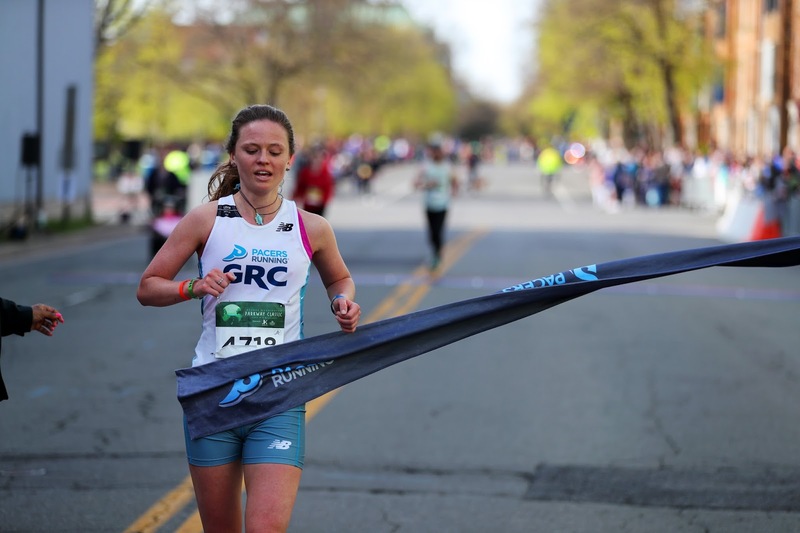 While the course may have been short, she finished as the 1st female and placed 3rd overall. In a weekend filled with seemingly perfect racing weather, GRC took the world by storm with strong performances up and down I-95. Is November the new October? The jury is still out on that one. 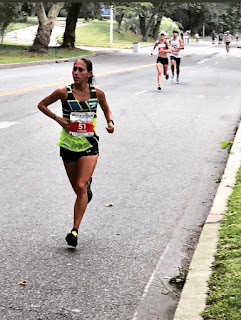 On Saturday, Natalie Patterson was the star of the day at the Richmond Marathon with a breakthrough PR of 2:55. 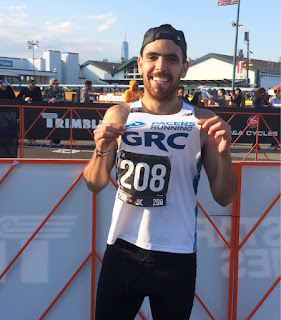 Alex Archer also ran his best race in a GRC singlet with a 1:09:52 half marathon. 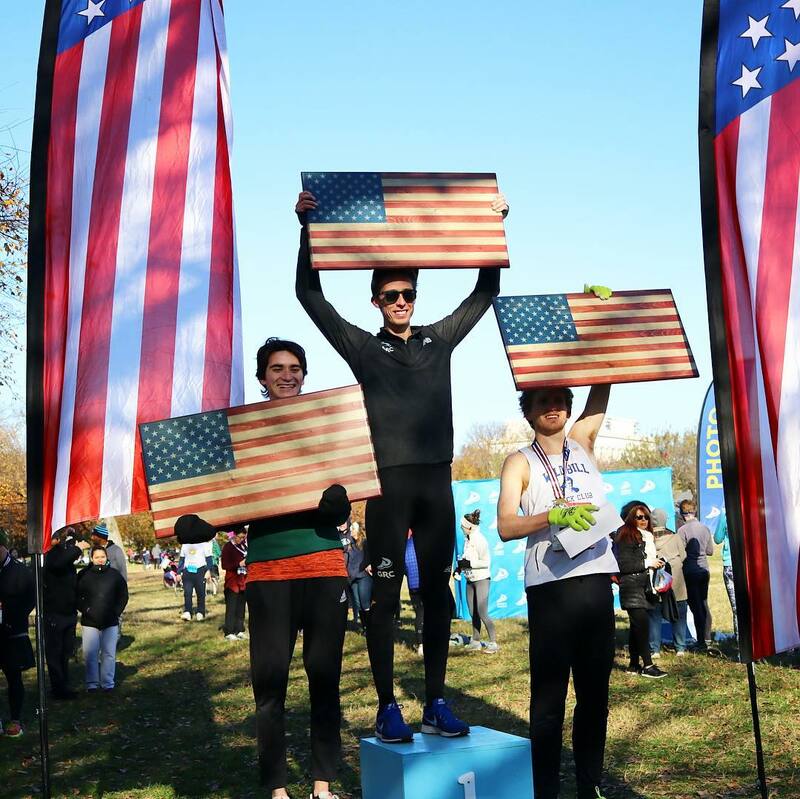 At the Veteran's Day 10k on Sunday, Kyle W continued his meteoric rise to greatness with a solid win/50-second PR combo. Our women also swept the podium, with Maura L, Emily d, and Katie taking home the hardware. A special congrats is also in order for the dynamic high school coaching duo of Dave O'Hara and Joe LoRusso. 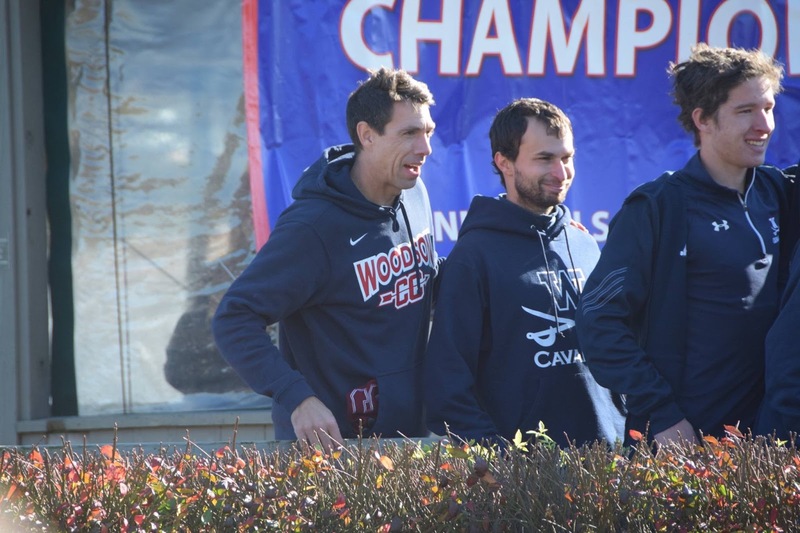 Dave led the Woodson HS Cavaliers to their first ever boys' cross country 6A State Title on Saturday and Joe helped. 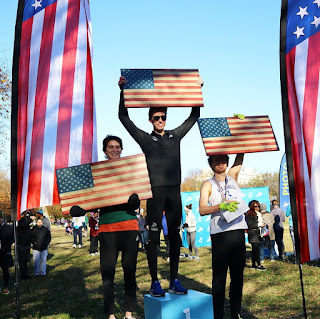 As is customary for the first weekend in November, NYC was the center of the running universe over the weekend. Since GRC is never a club to be left out of the limelight, a few of our harriers took advantage of the opportunity and logged some impressive times against tough fields. It didn't seem like any of them made the ESPN broadcast, but hey, there's always next year for that. 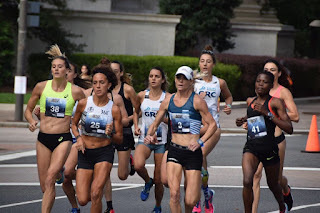 Back near our nation's capital at the St. Rita's 5k, a number of top spots in both the men's and women's races went to those wearing white and blue singlets. 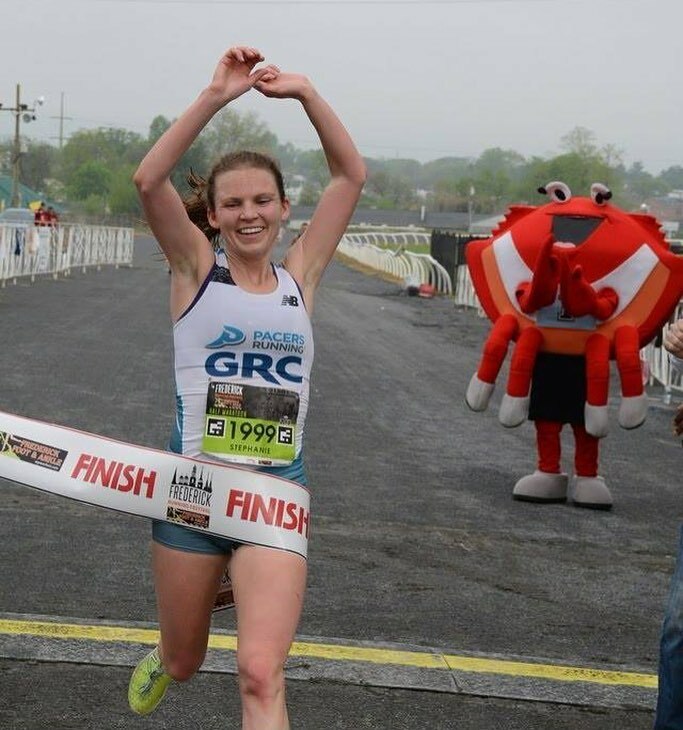 Sam from Cornell seems to be on quite the hot streak with road 5k's lately. 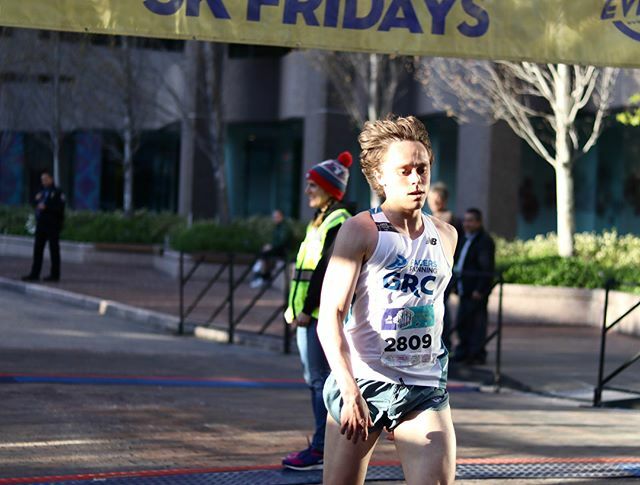 There are also some grab bag results from over the weekend: Mileage Sam placed 4th at the St. Louis Half Marathon in 1:11:55, and Panhandle Crew member Lucas ran 4:15 for bronze in at the Myrtle Mile in South Carolina. 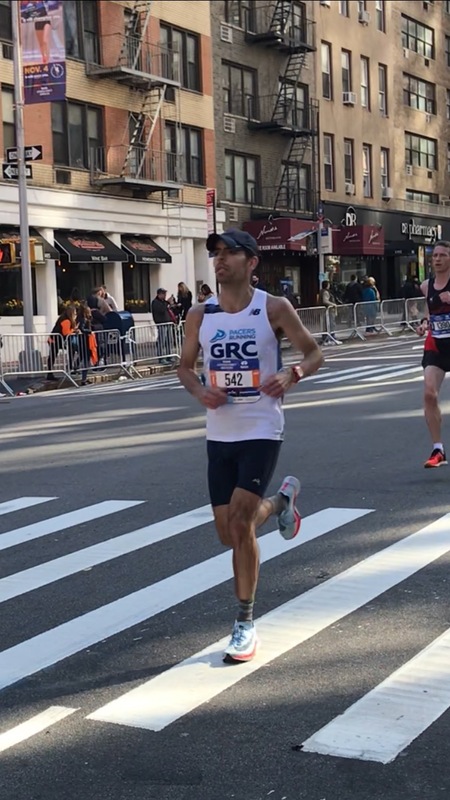 Lastly, a belated congratulations is in order for our resident Masters marathoner Pat Kulhmann, who placed 20th overall and first in the 45-49 age group with a 2:38:00 clocking at the Marine Corps Marathon. Who says that Father Time is undefeated? 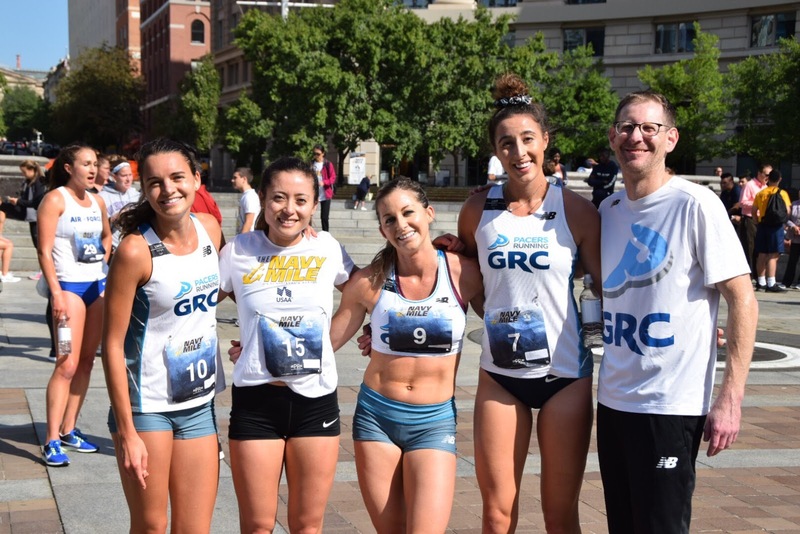 GRC made our beloved sponsors proud on Saturday by sweeping most of the top spots at the inaugural Run for Remembrance 5k. The one and only Sam from Cornell took home the victory, and he was gifted a nice wooden American flag for his solo effort. 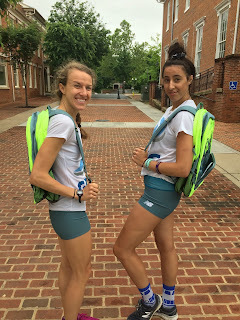 Up I-95, Hallie and Chelsea V tackled the Bal'more Half Marathon. There was plenty of wooter and Old Bay on the course, plus number of "How 'bout them O's, hon" cheers from spectators near Camden Yards. Finally, outside of Bahstun, Cabell and JLP took on the historic Mayor's Cup 8k. JLP held off fast-charging ex-pat Phil Royer down the homestretch, proving to the world that moving and leaving GRC is always a terrible mistake. 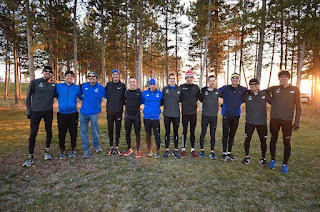 In what has become an annual tradition, a motley crew of men trekked up to Gettysburg on Saturday morning with an aim of capturing a team title over a variety of mostly Division III schools. While they may have lost that particular battle, they haven't yet lost the war, or something like that. 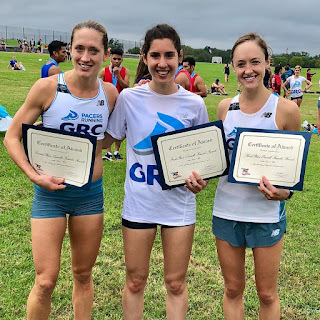 Further east, Maura L took home the win at the Inter-Regional Border Battle, followed closely by Caroline and Liz T.
We also had a handful of stray road results, highlighted by Natalie's third PR in four weeks. Withstanding Mid-Atlantic humidity is remarkably similar to running a half marathon: both efforts last longer than what seems appropriate. 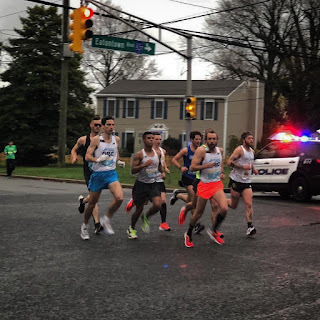 Despite swampy conditions on Sunday morning, our crew logged strong efforts and placed well at both the Navy-Air Force Half/5 Miler and the Rock 'n' Roll Philadelphia Half. 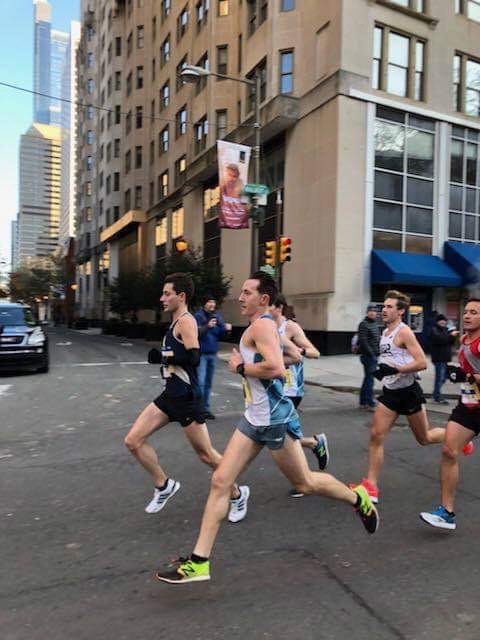 Up in Philly, Lucas made a valiant run at an OTQ, while Dickson and Hashem placed well in the midst of some hard marathon training. If you squint really hard, you can see Hashem and Dickson mixing it up with Des and Kellyn Taylor in the photo below. With Florence heading south, no doubt ducking the terrible rage awaiting her were she to delay what promises to be a debut-filled weekend, GRC is ready to roll. Keep your eyes on flooded roadways, though: Coach Jerry's salty tears after a Vanderbilt meltdown on Saturday night could rival what Flo has in store. 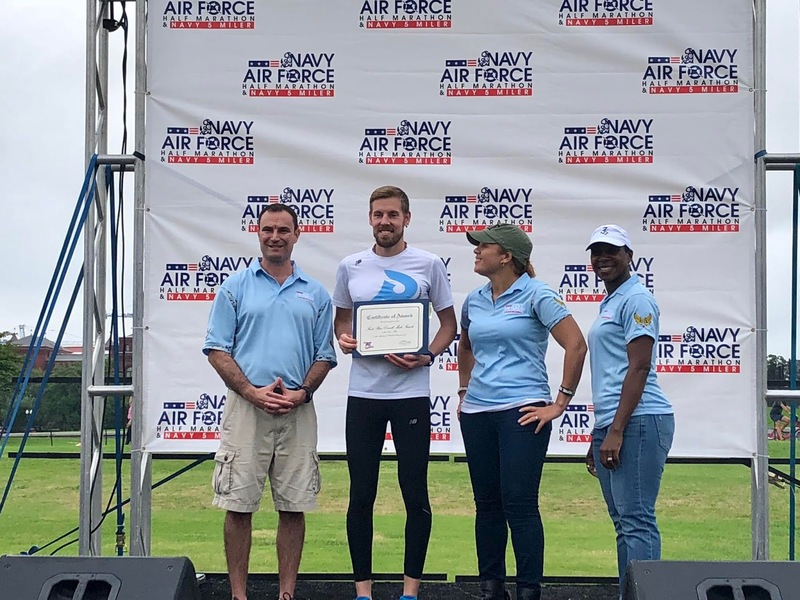 Our good friends at the Navy Air Force Half Marathon are hosting the finest half and five-miler around this weekend. 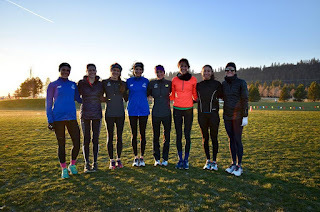 Our women's 5 contingent features Kelly C, Emily d, Molly A, Emily P, Hallie F, (and Jerry did not say Maura L, but I'm pretty sure she said she was running at practice on Wednesday?). Holy talent! Not to be outdone, the men will send Paul T, Outlaw, Jordan P, and late entrant Sean B to the line. Paul's time will need to be converted from lane 4 of Hains Point. In the half, Maura C, Margaret J, Keely E, and Chelsea V will represent the women, joined by Trevor R, Evan J, Charlie B, Mark H, Sam D, and Kieran O. One seems to recall that RNR Philly will feature some GRC representation, but the ignorance and stubbornness of the author will shroud those participants in mystery until results are available. Fresh off his latest book, FEAR: Trump in the Whitehouse, famed author, Bob Woodward, has penned a non-fiction thriller detailing the GRC during the tumultuous years Patrick Murphy skippered the fledgling team. 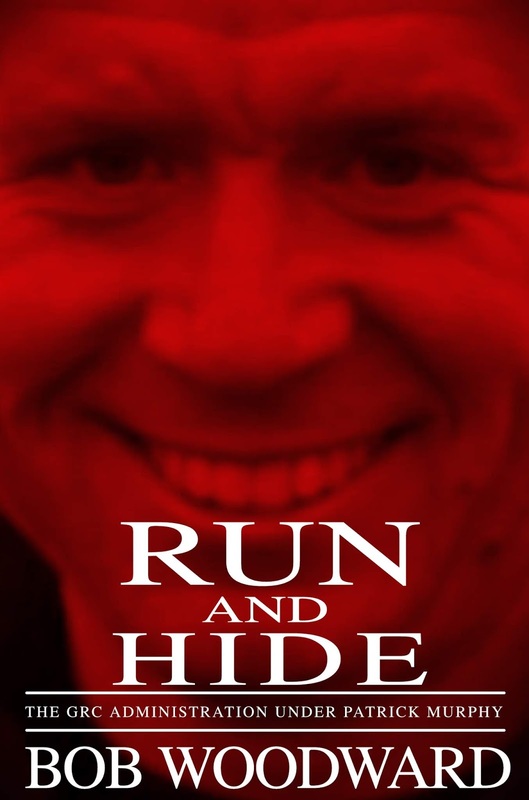 The book is entitled, "RUN (and Hide): The GRC Administration Under Patrick Murphy". On page 1,276 (it's a 3,000+ page epic! ), a team member known only as "B. Young" (narrowing the source down to two people) claims Patrick "colluded with PACERS during the 2009 Veteran's Day 10k, essentially handing PACERS the win." This collusion occurred years before the teams officially merged. In 2009, the two teams were rivals. This is by far one of the devastating accusations in the book. In an earlier chapter, former President of the GRC, Sam Luff (AKA "Sam from Cornell #2") is reported to have called Patrick a "dumby (sic) face" in April 2012, after a contentious board meeting. During that same board meeting, Charlie Ban was drinking a concoction that resembled “a mix of both coffee and beer, two drinks Charlie claims he never touches…” He also, according to one account, wore blue jeans, or, according to another, blue jean shorts (jorts) to this same meeting. According to official membership paperwork, current GRC President Kerry Allen's real name is Allen Kerry, and she was named after her father, Allen Kerry Sr.
An author known only as Enamanoos (sic) has written the book's Foreword. 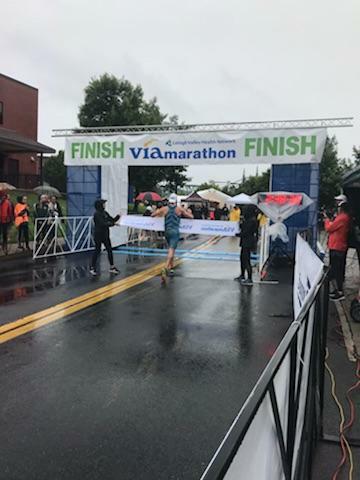 Zak won the Lehigh Valley Marathon this morning, blasting a 2:38:40 to win by a minute and a half. 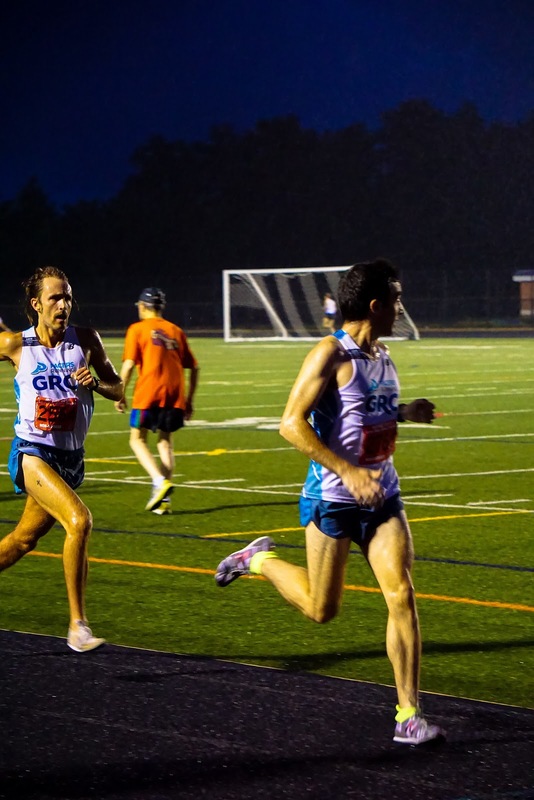 A cursory glance at splits reveals the race story: Zak had gapped the field by 10k, and ran evenly the rest of the way to stretch the margin to its final resting place. 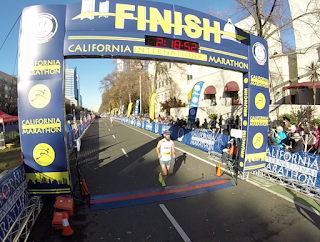 Being out front in a marathon is a lonely endeavor, but Zak kept steady and brought home the victory. There are no confirmed reports that Zak was fueled in his heart and his legs by the pent-up anguish of a thousand Orioles losses, nor that he screamed "Time to slam brews!" at the finish. 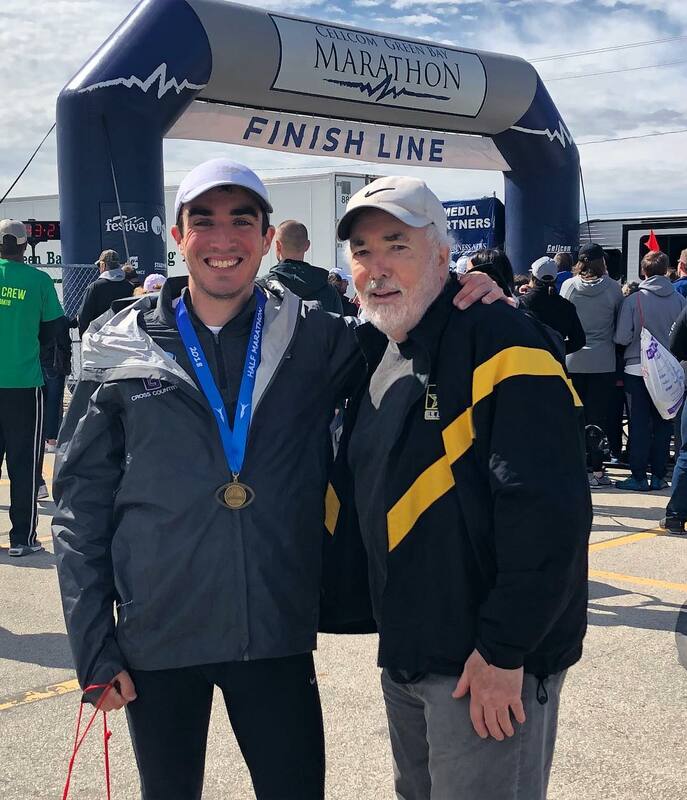 There are, however, confirmed reports that Zak said it was "'...definitely not an ideal day for a marathon, and the course was pretty sloppy in a lot places, but I was able to send 'em nonetheless." 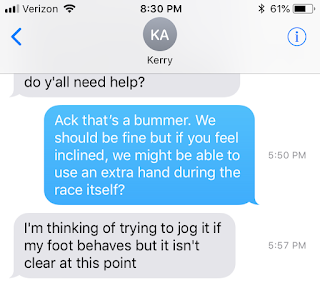 At Parks Half, Dear Leader Kerry (80:28) followed suit by wrapping up an early season victory, a great indicator of successful marathon pain to come. On the men's side of the ledger, Sam C (70:52) took home second in his GRC debut, followed by Sean O (77:33) in ninth. 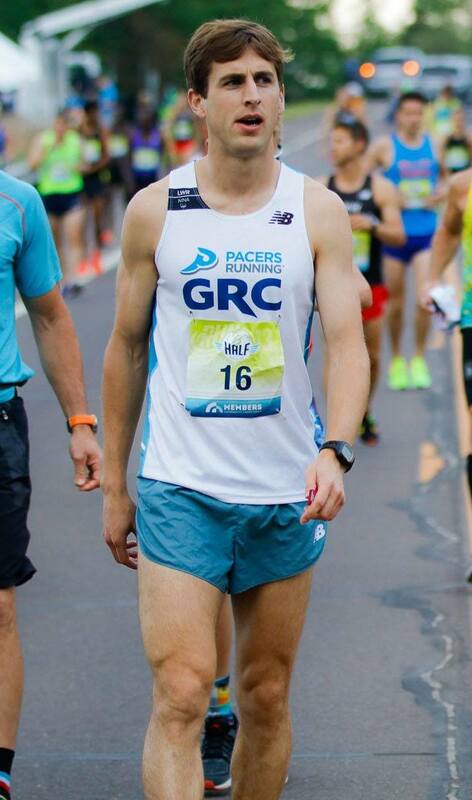 Kyle had a top 10 finish at the City of Lakes Half, clocking in at 71:03. Emily d broke 5 in the Fifth Ave Mile with a 4:59. 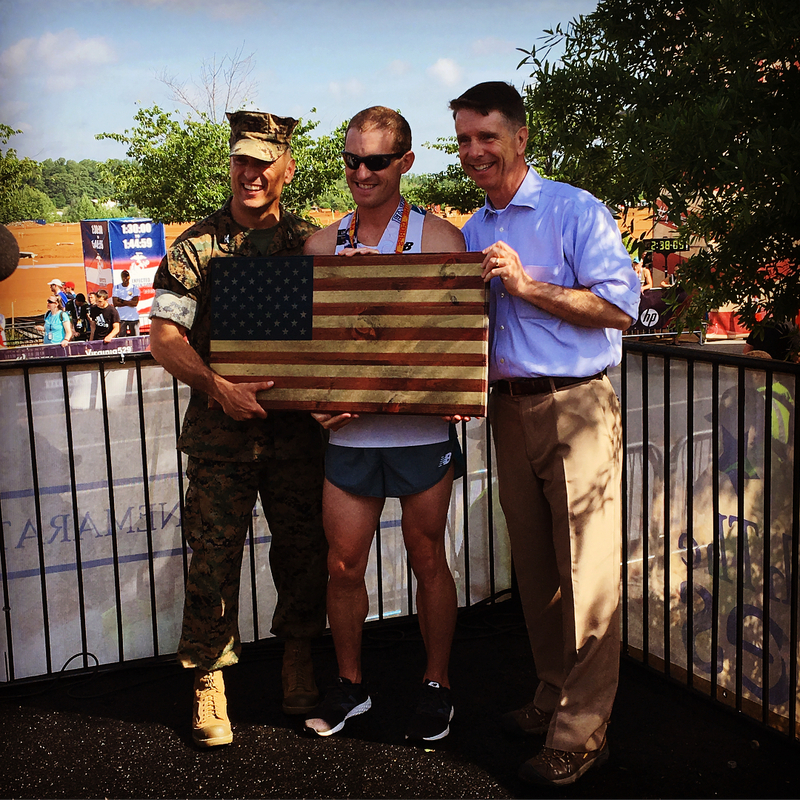 On Saturday evening, Outlaw got the party started with a 2nd place finish in the 9/11 Memorial 5k, blazing a 15:58. Zak takes on the first big US soil (sorry Frances) marathon of the season, in what is probably the Lehigh Valley marathon according to Google but is definitely in Pennsylvania if not. 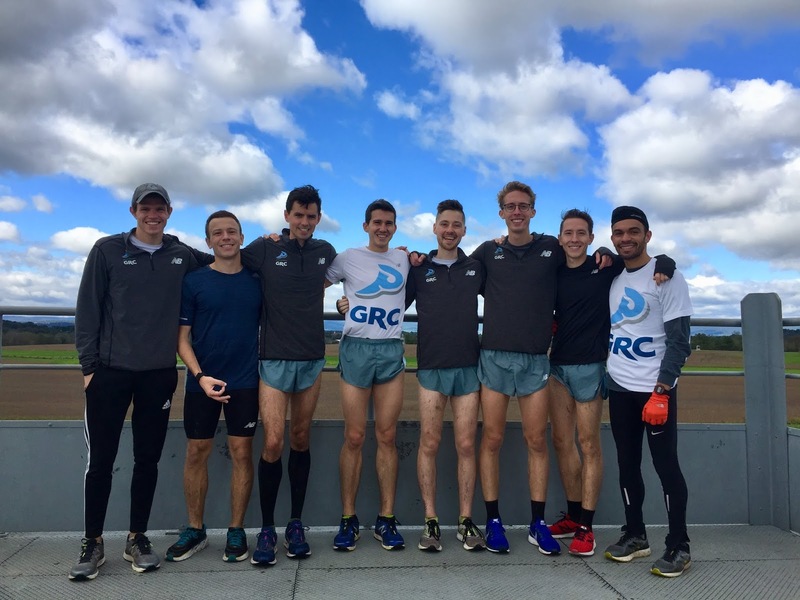 Native son Kyle W will return to Minnesota to run in some sort of half marathon, and is likely to return with a sizable PR that won't fit in the overhead. Closer to home, Kerry, Sam C, and Sean O are running the Parks Half. This will be Sam's GRC debut. 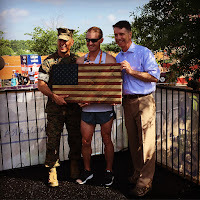 Outlaw will look to stretch his vicious summer speed into the 5k at the 9/11 Memorial race as he transitions to the "hard training" for the marathon. Other people are also probably running, but due to the idiocy and crippling fallibility of the author, they are not recorded here. 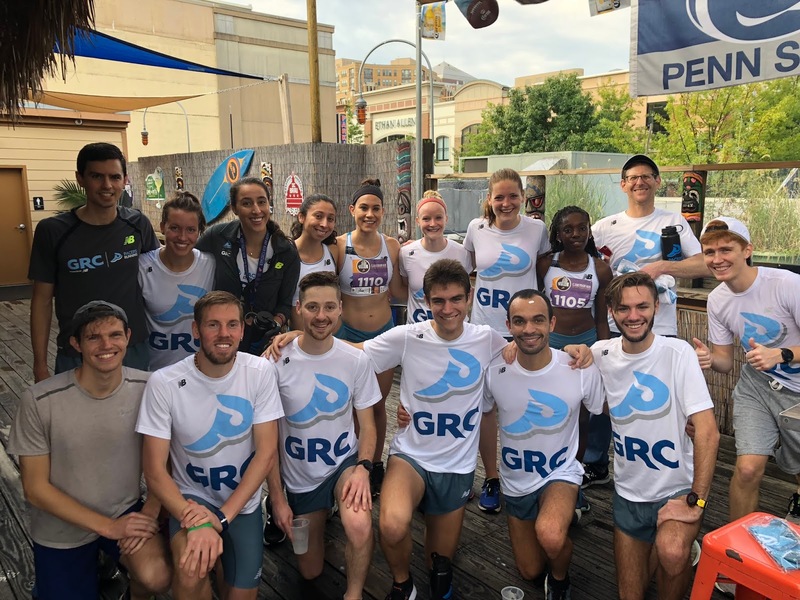 July weather in DC has been known to cause even the most hardened local runner to flee from the city, and race results from the past week confirm that the GRC Summer Diaspora is in full swing. 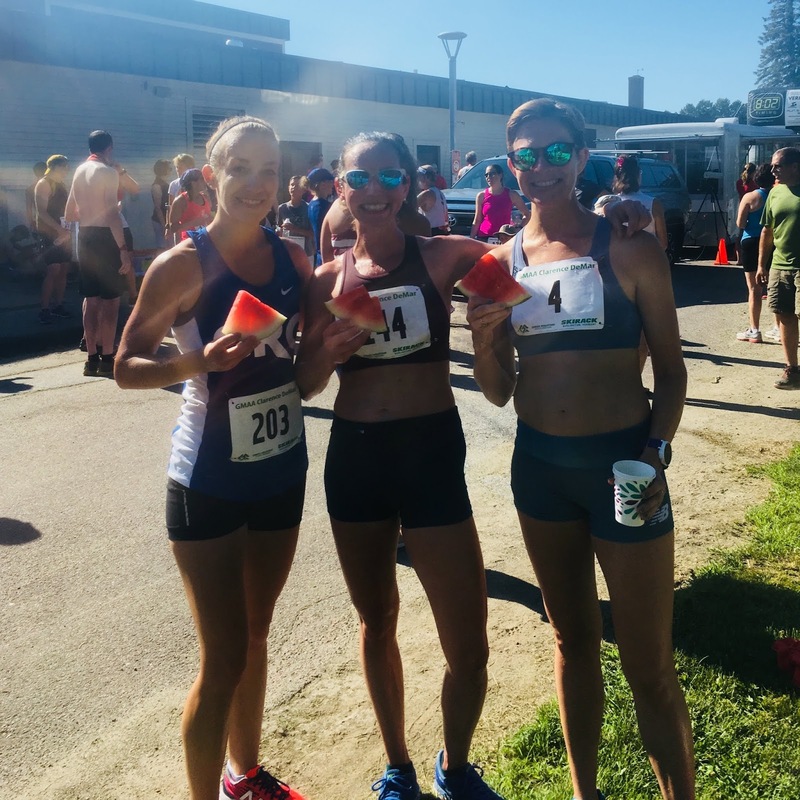 Up in Vermont, a vacationing trio of Kerry, Hallie, and Greta took time off from picking blueberries and drinking Heady Topper to compete in the Clarence DeMar 5k, running 18:15 for the win, 19:19, and 20:25 respectively. 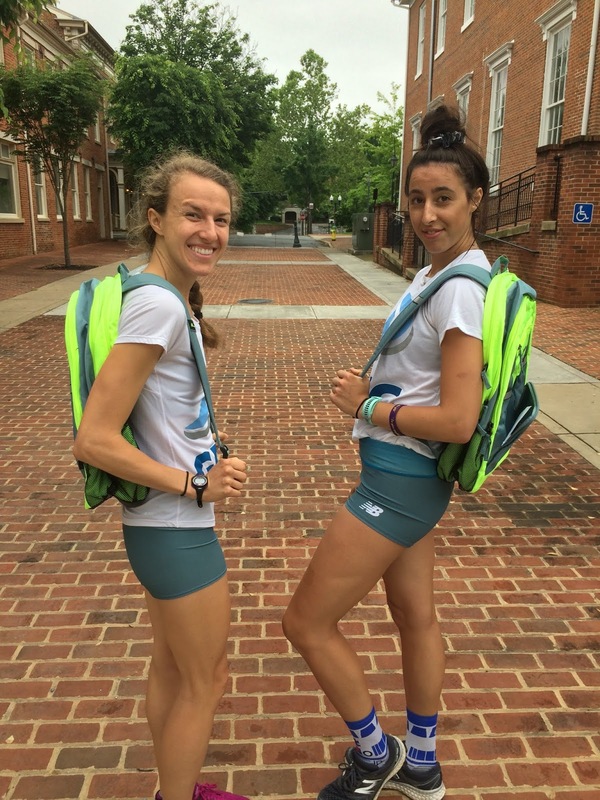 Hallie and Greta's runs were particularly impressive due to the circumstances surrounding their buildups to this race - Hallie is coming off of a long injury-induced layoff and Greta is fresh off a lengthy stint in the Middle East. 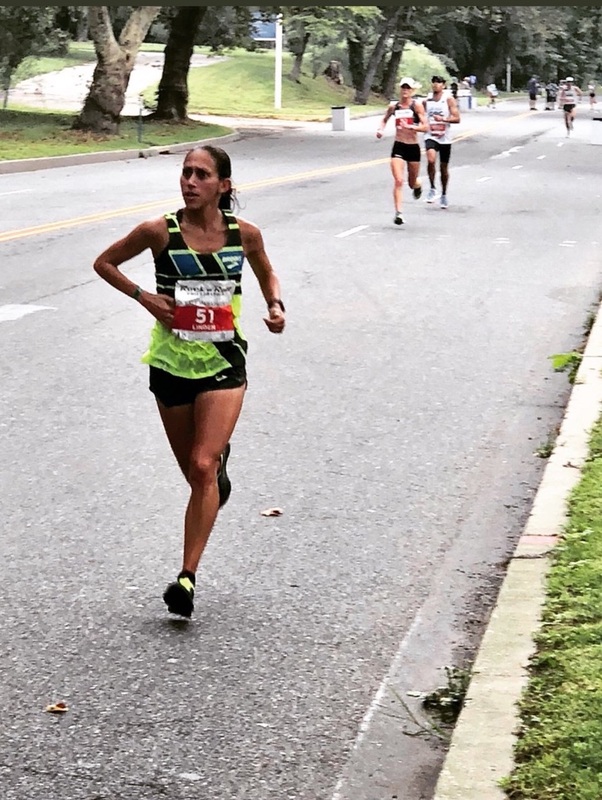 Somewhere in France, Emily de la Bruyere had a heck of a weekend at the French Outdoor Championships, which take place around two weeks after the USATF Championships. It's worth noting that Bastille Day is around two weeks after the Fourth of July, and I doubt that the interval of time between these two national championships is a coincidence. 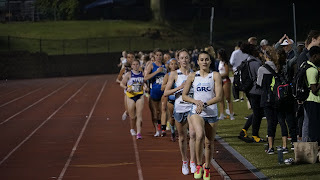 On Friday, Emily ran a club record in the 5000m with a 4th place finish in 16:15.39. While that performance alone would be enough to call the weekend a success, Emily also had the gumption to try her hand at the 3k steeple on Saturday night. Her 10:15.02 performance for 4th was a little ways off of her PR, but taken in total, that's a darn impressive 24-hour stretch of running. Back stateside, Stubborn Mark Hopely took home the W at the Heritage 5 Miler, running a controlled 28:25. Mark is the only club member with photographic evidence of his race (only half credit for post-race watermelon photos). 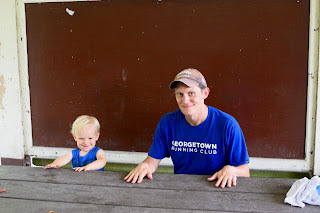 It would be nice if other club members sent along photos of their races. "Emily ran a truly courageous race in the semi-final of the steeple. Emily was in the lead pack, which included Courtney Frerichs, until 800 to go. At that point Frerichs dropped the hammer, and Emily got separated, but she was still in position to qualify for the final on time with 200 to go. Then the last water jump happened. Emily got too close to the barrier, and ended up taking a nasty spill, resulting in her being completely submerged. She got up quickly, but at that point she was totally out of gas, and barely made it over the final barrier. 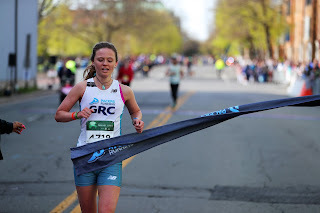 Emily crossed the line in 10:16.39 with her head held high. As Emily put it, if you're going to fail, you might as well fail spectacularly, and she's none the worse for wear. I was extremely proud of Emily's race--she lined up with the best athletes in the country, and was not afraid to get after it. She put herself in a position to succeed, and gave it everything she had, which all I can ever ask for. Emily's season is not over, as she's got the French championship in 2 weeks, and she'll be back, better than ever." 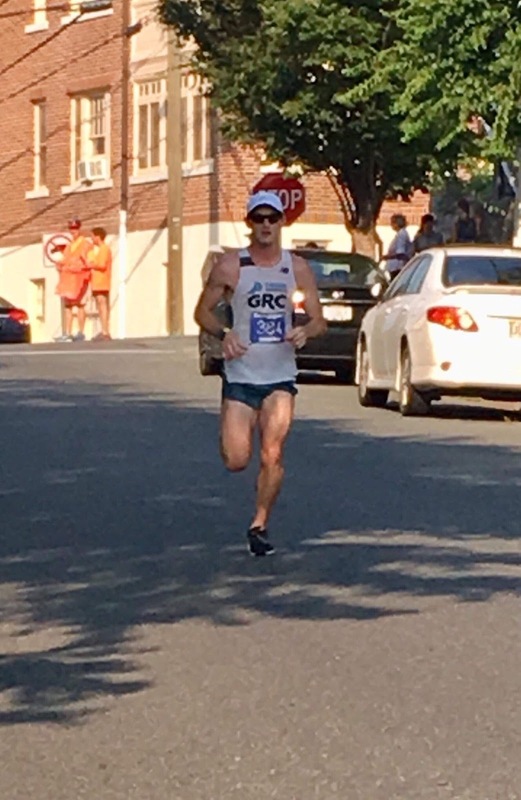 In other news, Mark Hopely won the Battling Cancer 5k last weekend in Fredericksburg, VA. Mark's 16:50 effort netted him $100 and a pair of kicks. While the time is nothing to write home about, we can all appreciate how smooth Mark looks running in sunglasses. If there's one thing I've learned this track season, it's that track season is not "nearly over" in early May. Each week has brought about a new slate of meets that I am either unfamiliar with or have carelessly forgotten. 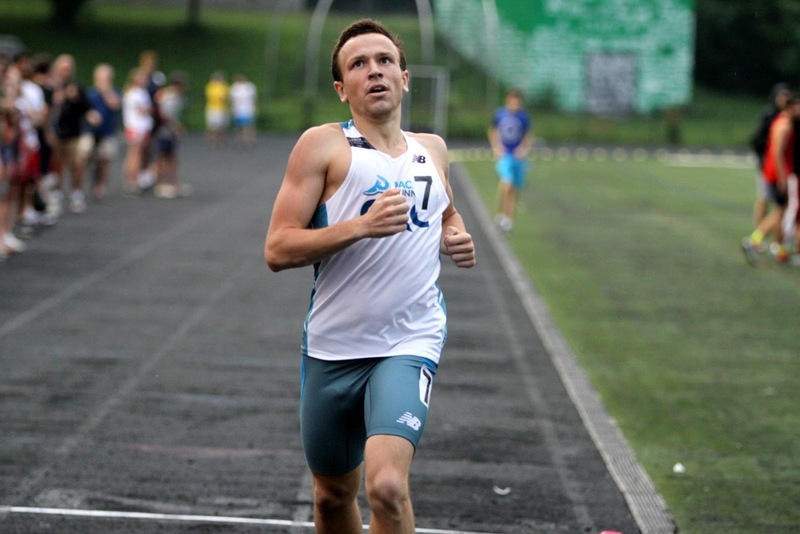 This week, I'm going to try the ol' reverse jinx method - track season is just getting started (wink wink). In the local road race world, seven brave souls faced the inevitable heat and humidity of the Lawyers Have Heart 10k on Saturday. 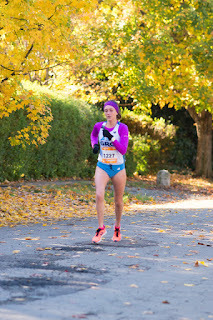 Maura L fared best in the conditions with a 6th place finish in 35:31, and solid efforts were also logged by Taylor (37:02), Kerry (38:38), Emily (39:41), and Rebekah (40:01). 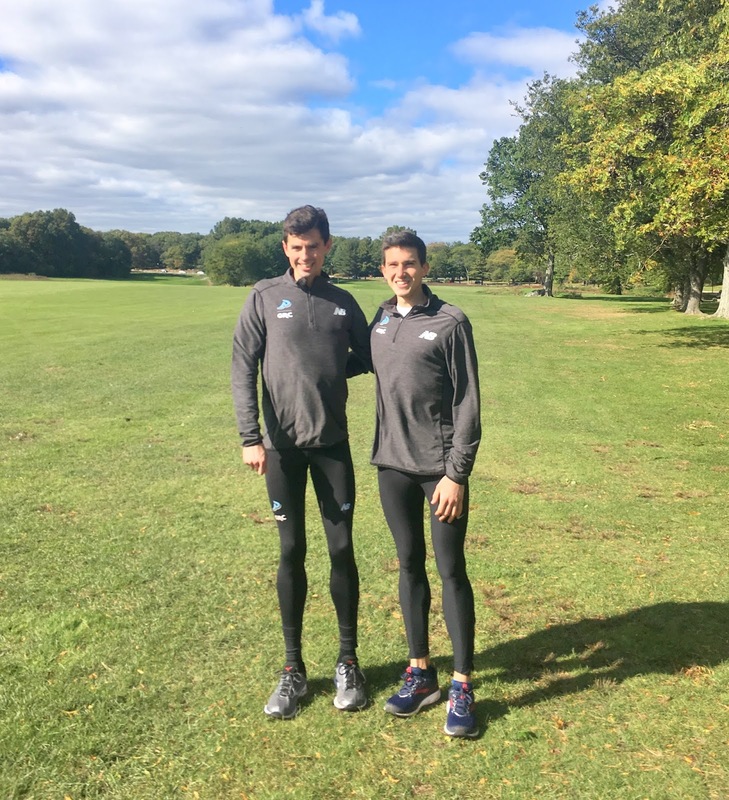 On the men's side, Paul finished 13th in 32:15 and Zak also finished the race, despite some mid-race uncertainty about his prospects to do so. 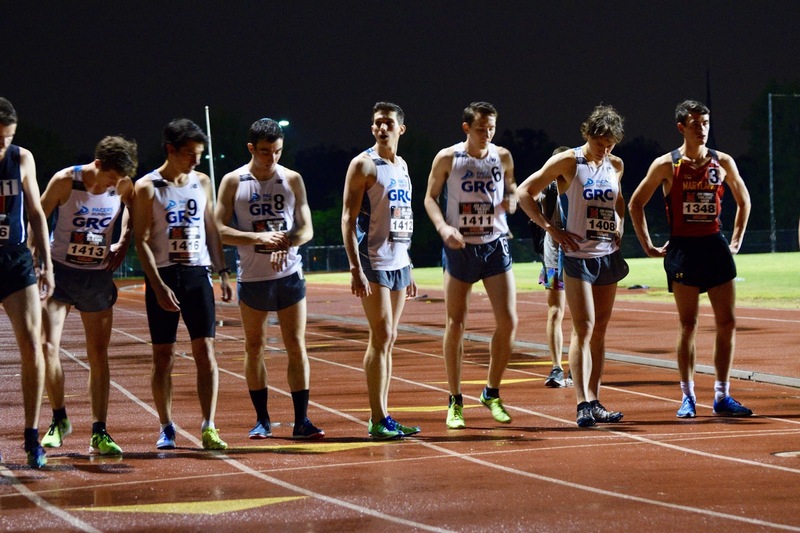 Track season continued its seemingly endless march forward over the weekend, with notable meets in both West Chester, PA and Nashville, TN. 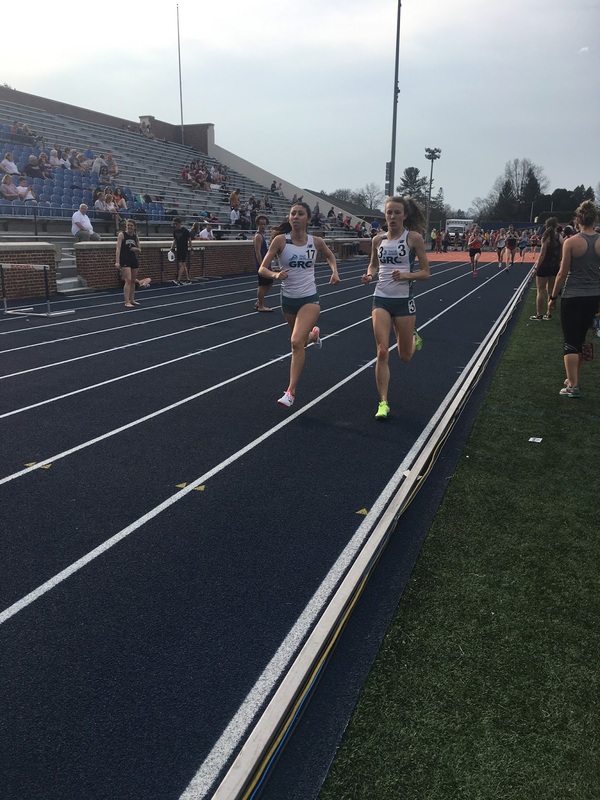 North of the Mason-Dixon line, a fearless trio comprised of Alex, Alyson, and Liz ran the 1500m at the John Hay Invitational. Alex ran 4:34.87 for a 3-second a PR (and a GRC #4 all-time performance), and she was followed by Alyson in 4:38 and Liz in 4:45.61. 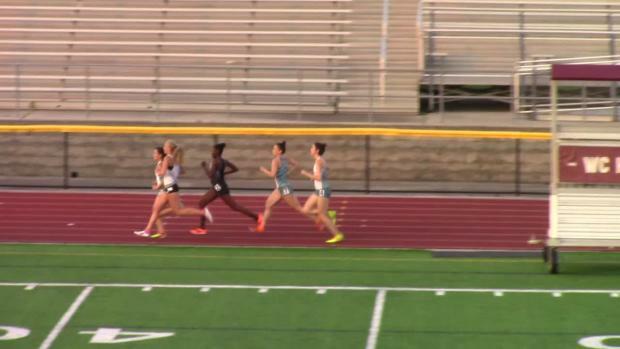 Despite my best efforts, I can't find any photos from this meet, so please enjoy this thumbnail from a Milesplit video where you can see what appears to be the outlines of Liz and Alex. 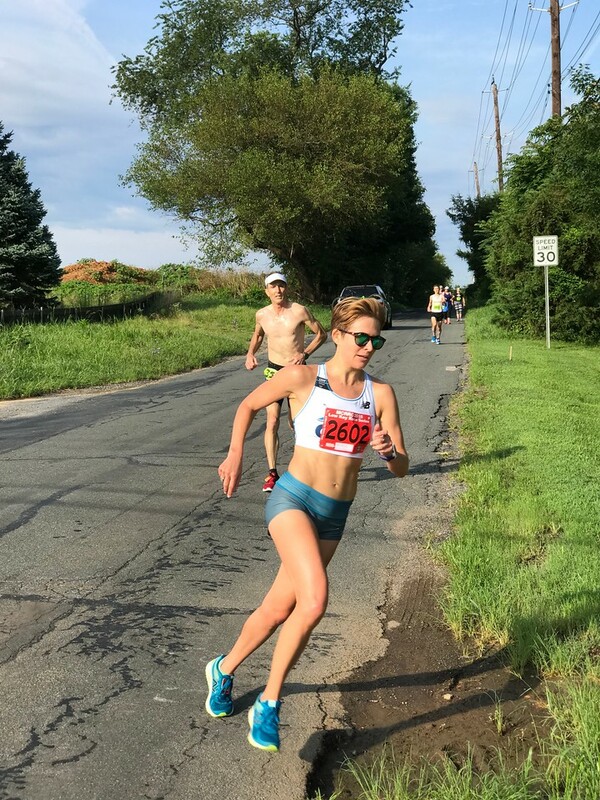 At the Music City Distance Carnival, Maura L claimed bronze in the 5000m via a 17:02.2 clocking, and Paul Thistle nearly ran a season best in the 3000m steeple with a 9:07.04. Conditions were steamy trackside, but morale was high, so both Maura and Paul expect to return next year with plans to improve on those performances. 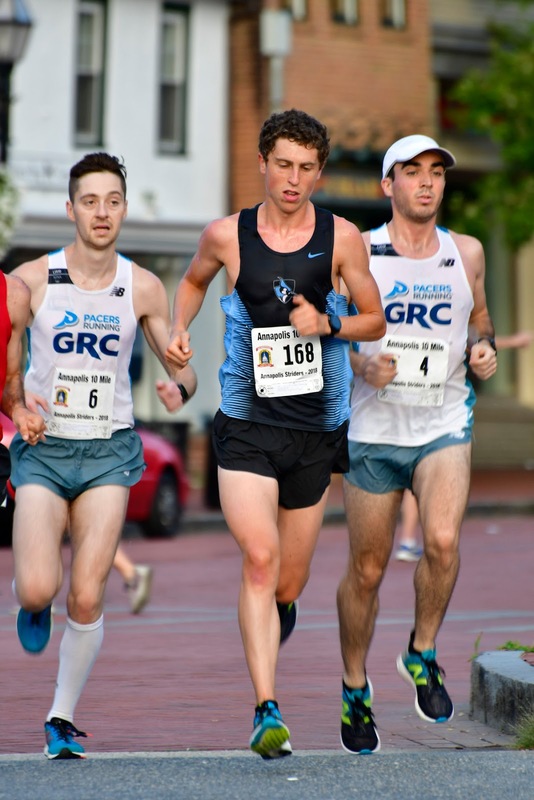 Also in Tennessee, friends of GRC Ryan Lockett (mile, 4:09.09) and Kieran Gallagher (1500m, 4:18.15) ran season-best performances in their respective events. Speaking of GRC friends, ex-pats Phil Royer and Hannah Rowe ran the Mountains to Beach Marathon in Ventura, CA on 5/27. Hannah performed exceptionally well for her first 'thon (2:54:14), and Phil finished runner-up (2:29:32). Folks, I've said it before on this very blog, and I'll say it again - you have to escape the DC area if you want to run a fast distance race during the summer. Some may argue that May isn't "summer", but what else do you call a day where the temperature hits the upper 80's? Always one to heed my advice, TK4 traveled to Wisconsin for the Green Bay Half Marathon on Sunday morning. 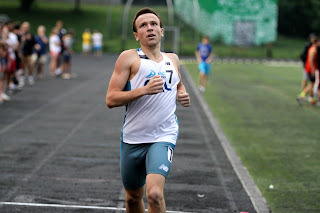 Tom ran a massive PR of 1:13:40 for 6th place, despite windy conditions and limited competition near his pace. 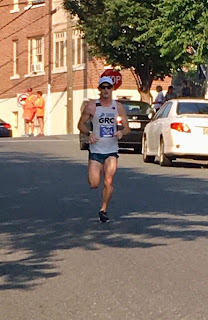 Never one to heed my advice, Mark Hopely ran a strong 1:14:39 for 3rd place at the MCM Historic Half in Fredericksburg, VA. Mark hoped to defend his title, but the combination of a hot morning and a hilly course made that a tall order against a competitive field. 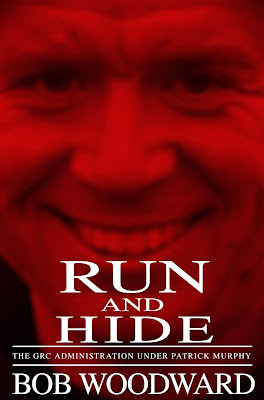 I doubt that Mark will start taking my advice anytime soon, so there's a good chance that he reclaims his title at the 2019 edition of this race. 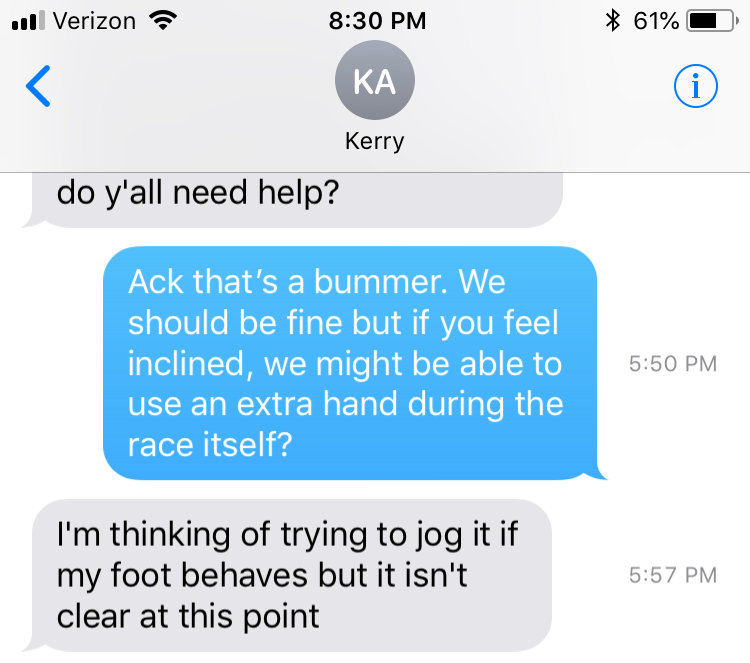 Kerry also continued her sneaky spring (summer?) 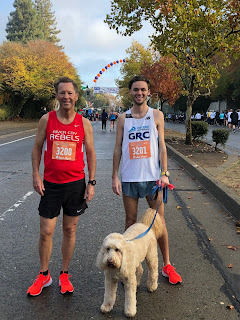 comeback tour, running the Capitol Hill Classic 10k in 40:38. 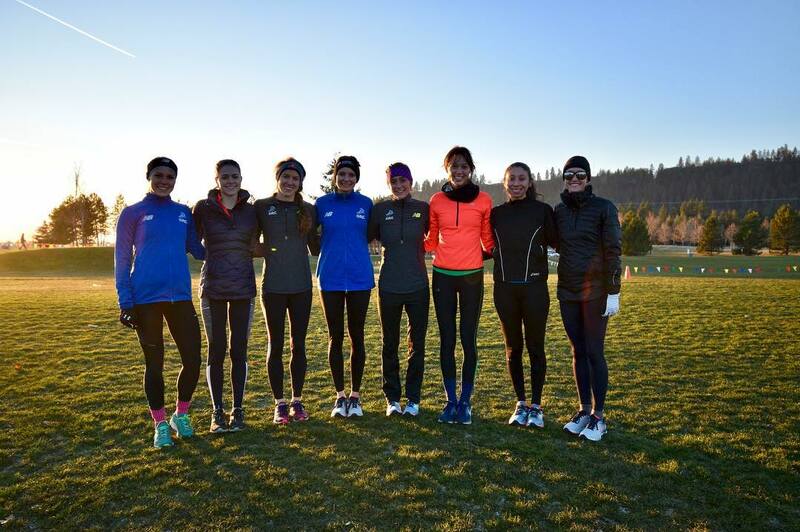 For reasons unbeknownst to us, club runners aren't permitted to compete in college conference meets. The Swarthmore Last Chance Meet is the next best thing, and despite its inconvenience for your standard non-NCAA runner (whose idea was it to have a meet on a Monday? ), a good chunk of our track crew made the trek up to Delaware County for some fast late-season times. 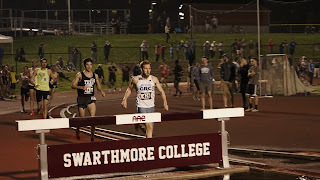 Particularly notable performances include Alex Morris running a 3-second PR in the 800m for a new club record plus Paul Thistle continuing to chip away at his club record in the 3k steeple. 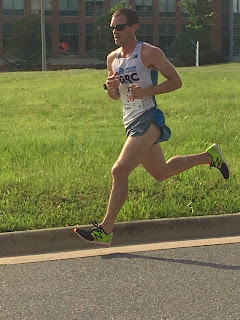 Outside of Swat, Lucas Stalnaker won the 5k at the Montevallo University Last Chance Meet in 14:30.78, and Emily d logged a solo 4:36 1500m at a low-key meet in Paris. Expect her to shred up the track once she returns stateside in the near future. 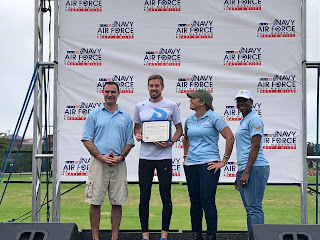 Zak also won the Police Week 5k in 15:55. Good job, Zak. Summer showed up early to the party last week, and our distance crew responded with a mad rush to fit in as many races into this weekend as possible. It's either now or never, folks! 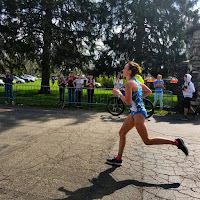 On the marathon front, Natalie claimed both victory and a PR at the Kalamazoo Marathon, crossing the line in 2:59:10. 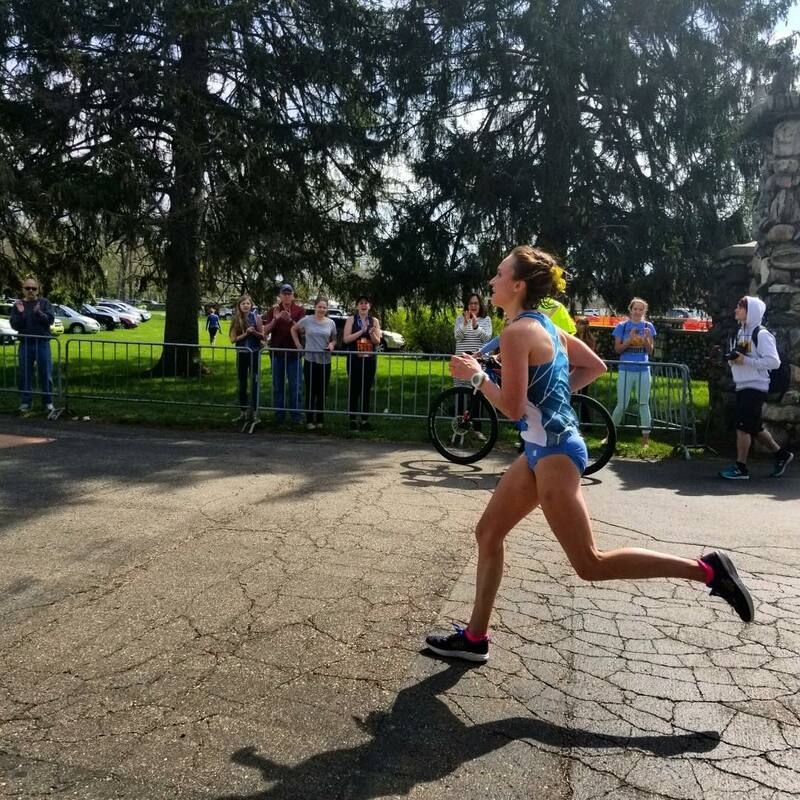 Up in Pittsburgh, Maura C completed her hometown marathon in a two-minute PR of 2:52:26. 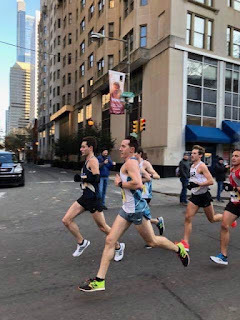 Down in Philadelphia at the Broad Street 10-Miler, Tyler replicated his strong performance from Cherry Blossom with a solid 53:20, and Mark Hopely knocked out two PR's in one race with a 25:42 5-mile split en route to a 52:16 finishing time. I would think that there was a 10k PR in there too, but let's be honest, who cares what a lowly blog writer thinks. Closer to DC, Steph won the Frederick Half Marathon for the third year straight in 1:20:19. That's an impressive streak of victories, but even more impressive is Steph's ability to perfectly replicate her breaking-the-tape pose year after year. 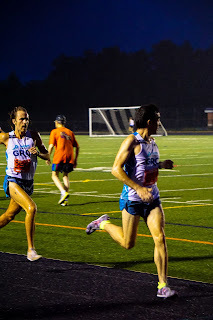 Our track crew also joined in on the weekend fun by running quick times at the UMD Kehoe Twilight Invitational. 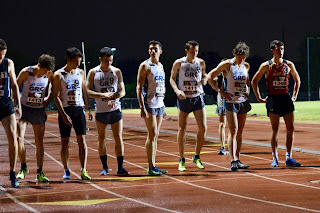 Standout performances include a pair of 2:13's in the women's 800m from Alex and Jesse, a pair of 1:55's in the men's 800m from Craig and Daniel, and a near-PR in the 5000m from JLP.